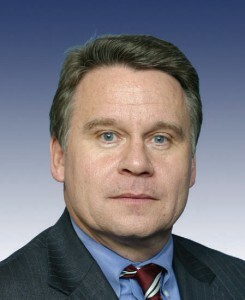 WASHINGTON — Republican Representative Chris Smith of New Jersey has divulged that abortion coverage is included in nearly all the health insurance plans available to Congress and their staffers–with the exception of 9 out of 112. Lawmakers have until December 9th to sign up for an insurance plan, but Smith says that Obama is breaking his promise of using taxpayer funds for abortion. While there are still plans available that exclude abortion coverage, Smith fears that many Congressmen and their staff will unknowingly sign up for plans that include the coverage. Reports state that often it can be confusing to understand which plan offers what coverage, and sometimes the insurance companies can make mistakes. Therefore, he says that he has introduced a bill that would require insurance companies to clearly note whether or not plans include abortion coverage. He said that as is, Obamacare is violating the Smith Act, passed three years ago to ensure that abortion would not be included in the health care plans of federal employees. Under Obamacare, every state must have at least one plan that excludes abortion. However, it also allows Christians to become members of health sharing ministries as an exemption to the requirement to purchase insurance. Medi-Share, Samaritan Ministries and Christian Healthcare Ministries are the three companies that Christians may join as alternatives under the law.